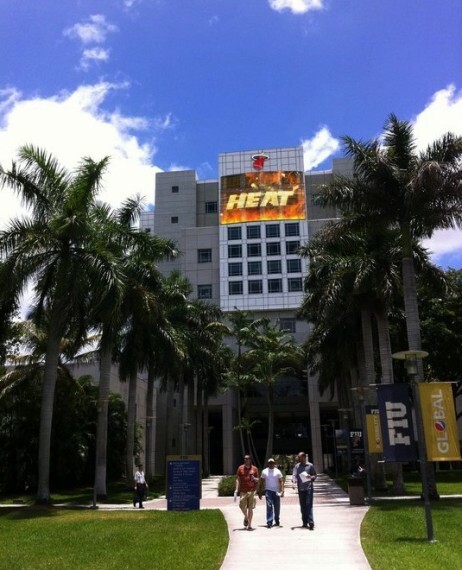 Calling all Panther fans: Want a Miami Heat hat in FIU blue and gold? This Tuesday is your opportunity. The Miami Heat are celebrating University Night during their game against the Brooklyn Nets on Nov. 20 at 7:30 p.m. at American Airlines Arena. Every ticket purchased through this special offer includes a hat with your choice of university colors, including FIU’s blue and gold. Ticket prices start at $18. To purchase tickets, click here. Your hat will be available for pickup at a table outside Section 412. For more information about Tuesday’s game, contact 786-777-DUNK (3667) or email GroupTickets@HEAT.com.